One of the most substantial divides in American politics is the “God gap.” Religious voters tend to identify with and support the Republican Party, while secular voters generally support the Democratic Party. Conventional wisdom suggests that religious differences between Republicans and Democrats have produced this gap, with voters sorting themselves into the party that best represents their religious views. 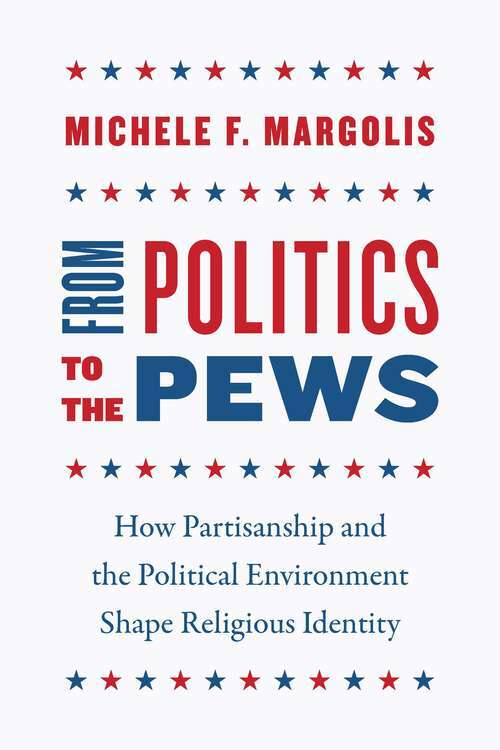 Michele F. Margolis offers a bold challenge to the conventional wisdom, arguing that the relationship between religion and politics is far from a one-way street that starts in the church and ends at the ballot box. Margolis contends that political identity has a profound effect on social identity, including religion. Whether a person chooses to identify as religious and the extent of their involvement in a religious community are, in part, a response to political surroundings. In today’s climate of political polarization, partisan actors also help reinforce the relationship between religion and politics, as Democratic and Republican elites stake out divergent positions on moral issues and use religious faith to varying degrees when reaching out to voters.